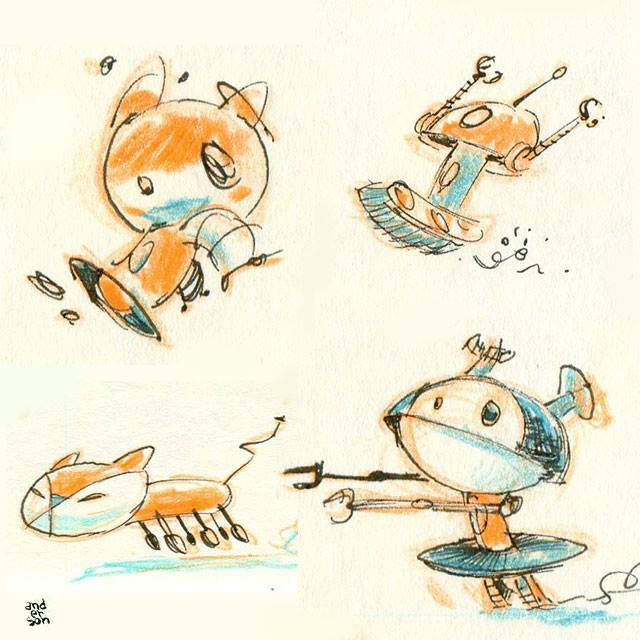 A few of the robot designs that preceded Ellie. Clockwise from top right is 4NDY, 9-A (Nina), and K8 (like cat, only Cate). Remind me to tell you about the time they had to rescue Ellie and get her to her launch in time!